When it comes to creating that Great Gatsby look, the key is in the awesome accessories. 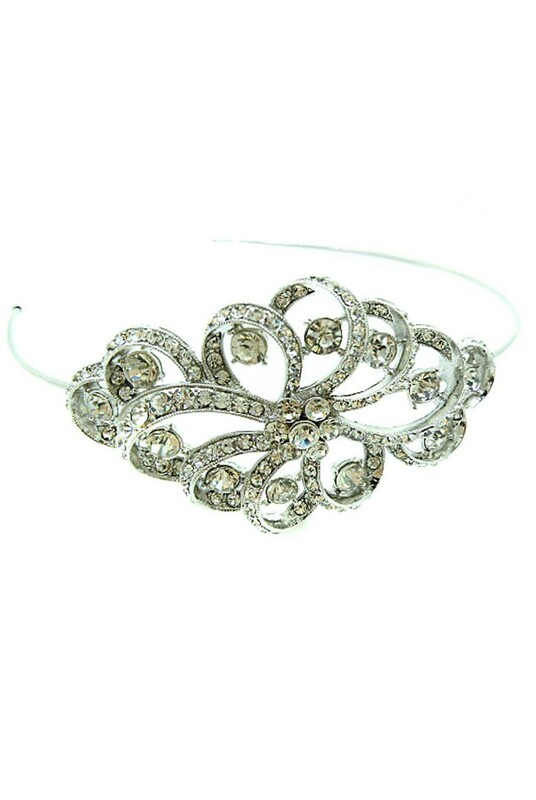 This art deco headband is just what you need to rock at your next 1920s themed party or vintage style wedding. Art deco jewellery has a timeless quality and will always be a fabulous way to incorporate a touch of vintage into your outfit, whatever the occasion. So grab your glad rags and let's party like it’s 1929! This vintage style flapper headband is silver tone metal. 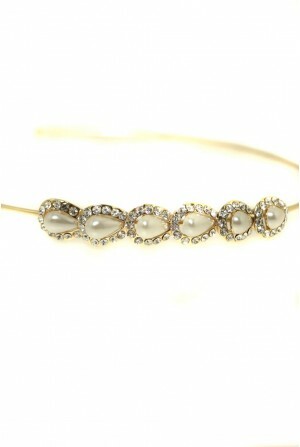 It has a swirling, vintage style design with a crystal embellishment. The art deco design measures 10cm by 5cm.